At Island Spirit we have talked about the importance of protecting sharks, rays and other endangered species many times over. It is an important topic, not only from an endangered species perspective, but also from the perspective of ensuring the natural balance in our seas is retained. At the start of October, the Fijian government did something monumental; they became the first Pacific country to propose world-wide trade restrictions on rays and sharks to ensure their survival. The 17th meeting of the Convention of International Trade in Endangered Species (CITES) happened in South Africa, and it is here that the Fijian delegation called for trade sanctions on some of the most endangered species in the region. Those specifically mentioned included Devil Rays, Thresher and Silky Sharks, and the Nautilus. Ian Campbell, the World Wildlife Fund’s Global Shark Programme Manager praised the Fijian party for their achievements in this area of conservation work. He is technical advisor to the Fijian delegation which sits among 181 other countries on the CITES panel. Devil Rays are a close relative to the better-known Manta Rays, and are a favourite of ours when we are out diving in the beautiful Fijian waters. They grow incredibly slowly, and they also don’t reproduce in great numbers meaning that they are extremely susceptible to extinction when subject to overfishing. They also tend to congregate in large numbers making them sadly, easy to catch. 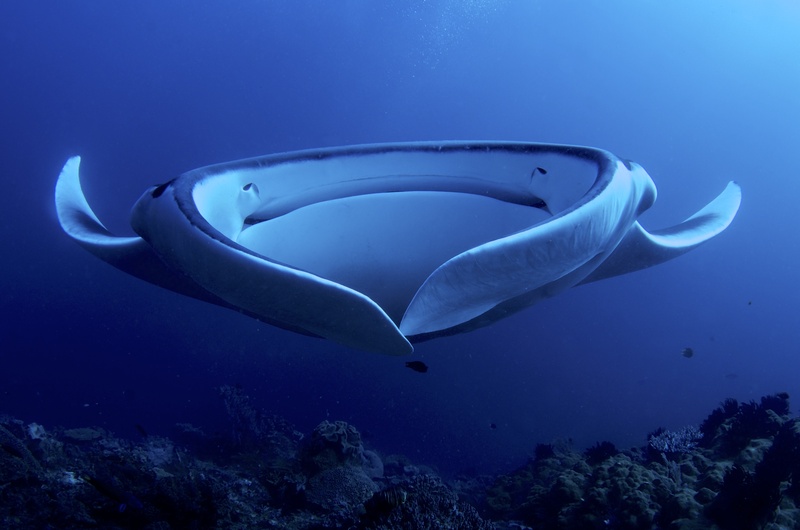 Fiji called for the Devil Ray to be added to the convention which would mean that trade would only be possible if rigorous processes are in place to ensure the populations sustainability. People fish them as their gills are quite valuable in Asia, and money is the biggest reason behind most species endangering activity. This means that for any protective action to be sustainable, other income streams need to be supported and encouraged, which is how sustainable tourism companies like ourselves help. The Fijian delegation worked closely with other Island Spirit destination Sri Lanka when it came to shark protection. The two governments alongside the Maldivian delegation ensured that Thresher sharks and Silky sharks were also protected. This is a huge stride in the right direction for shark protection campaigners, as it now means the trade of shark fin and meat must be regulated. Meaning that unless the science says that the populations of these beautiful creatures are robust enough to take it, harvesting cannot happen (well legally at least). This all applies to export and import and so if something goes wrong along the way, it should get picked up by the receiving nation at least, in which case sanctions will be put in place. The Nautilus is an even lesser known creature than the Devil Ray. It is a little bit like an octopus or a squid, and it has been around for quite some time! Longer than most other creatures in the sea in fact. They live right in the depths of the ocean, but despite that are still prone to over fishing. Unlike it’s close relations the squid and the octopus, the reason for this endangerment is the Nautilus shell, which is a bit like that of a crab but it is very sort after for decorative purposes due to its unique and colourful nature. The shells of these gorgeous animals are used for things like jewellery making and even furniture adornment. For this animal we saw Fiji work alongside the US delegation, despite their capture not being one of the main causes for concern in Fiji. Animals get added to the CITES list because their populations are not currently managed or because they are already in decline. Their move to the list will mean all production, trade, and the like will be heavily regulated and watched by those with the animals’ best interests at heart. Which is great news. It means that stocks will be given a chance to resurge, to avoid such creatures getting to the brink of extinction which is highly welcomed in an era when so many are already at that stage due to overfishing and climate change. Although these changes are a good step, it is also key that host nations work to mitigate the need people have for choosing this line of work and provide alternate employment opportunities, and through raising awareness. Both of these things are something we try to help with here at Island Spirit across all four of our locations.